Digital Nomads – to be or not to be? Digital nomads – that is a topic more and more people are talking about in Bulgaria, as well. In the future, many more people will work from where they choose. We discussed the topic recently with Rayna in my other blog (here in English, here in Bulgarian) and with Taneto (here in Bulgarian). But as the topic concerns not only people interested in digital communications, I’m taking it to a wider audience here. How did you transform from a corporate person into a digital nomad? Being a digital nomad is a state of mind, as work stops being that physical space you go to in order to get your job done. Working and living in different places has a long tradition with writers and artists. The American writer Ernest Hemingway worked in Spain and France, and the French artist Paul Gauguin painted in Polynesia. With the boom of technology in our daily lives and the development of various means of communication, the world is becoming more and more accessible and attractive for remote work arrangements. Thanks to reliable Internet connections, smartphones, tablets, video conferencing, etc. – it’s increasingly accepted that you don’t have to be in the office to get your job done. More and more people choose to work, travelling, getting to know different cultures and networking worldwide. After a long career with corporate structures – I love what I do, at some point I had the opportunity to work on a full-time basis partly from an office and partly remotely. And I loved the remote part – you still interact with your colleagues and have to do the same things you normally do from the office but without losing 2 hours per day in traffic. Happiness at work – remote workers scored 8.10, compared to all workers’ score of 7.42. “How valued do you feel at work?” – remote workers scored 7.75, compared to all workers’ 6.69. According to another survey of Leadership IQ in 2016 of 3,500 employees – 24% of office workers loved their work. The number of remote workers who reported satisfaction from their work was 45%. Remote work is best suited to highly organized and self-disciplined people. For those who are curious to know whether their personality is suited to working remotely or in an office – they may check this quiz. You know many digital nomads – tell us about them. I know some and get to know more and more. And I am happy to know them all, as I constantly learn new things from them. The first true digital nomads I met were Matthias Zeitler and Uwe Allgäuer, whom I got to know during a Coworking Camp in Turkey in 2016. Since the beginning of 2017 they are running Coworking Bansko (http://coworkingbansko.com/) – a coworking space in one of the prime ski resorts in Bulgaria. Through them, I hear constantly of new digital nomad adventures (Digital Nomad Train, Digital Nomads Sailing the Atlantic, etc.) The most fascinating thing about the digital nomads I know is their love for experiencing new things and their versatile personalities. For example, Uwe whom I mentioned above goes to work with an electric skateboard in Bansko – that is quite an attraction and on top, he moves pretty fast (short video here). 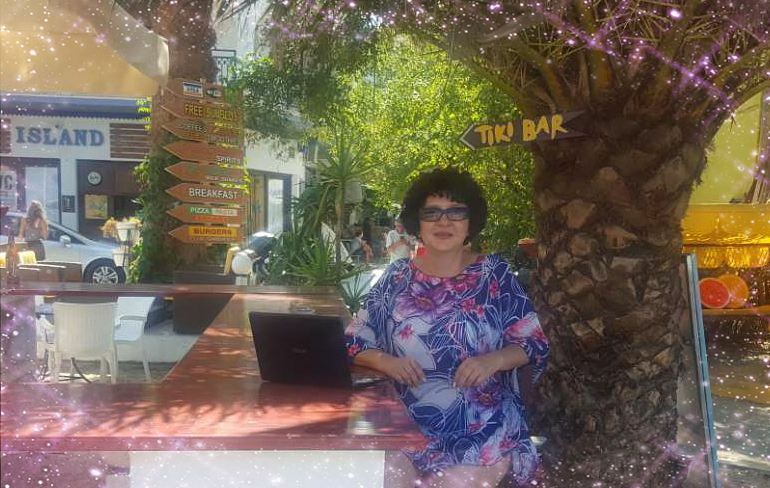 The third key figure in Coworking Bansko is Irina Pandeva, who in her spare time is dedicated to her vocation – painting, so if you visit Bansko, drop at the Art Gallery there. Other fascinating digital nomads I know, to name a few – Asia Lindsay from Toptal, whom I met through “How Remote Work Helps Women”; Antti Halla – a mind map ninja from Finland, who is passionate about programming and building software prototypes for thinking and learning (his book on Amazon on the topic) – I loved reading it; Vivienne Egan – a content specialist, journalist and social entrepreneur from Sydney. And many others – all with a different background, all a pleasure to know and stay in contact with. Many people are sceptical that one is productive when working remotely. What is your response? An article in the Forbes Magazine I came across earlier this year was dealing with the issue “ Are Remote Workers More Productive Than In-Office Workers?” Workplace globally is changing to reflect these capabilities; as more jobs become tied to computers, therefore, working from home is a rapidly growing trend. The co-founders of the Chinese travel website CTrip allowed some of their workers to work remotely on a regular basis, and compared their productivity to their office-bound counterparts. With all other factors being equal, the remote workers ended up making 13.5% more calls than their comparable office workers, which is the equivalent of almost a full extra day’s worth of work in a given week. I personally feel more productive when working remotely. Which are the businesses that have no fixed offices and their employees are fully on the go? Does this happen in Bulgaria? I don’t know of many companies in Bulgaria (except a few international ones) that are open to remote work arrangements. But hopefully, all this will change. I wish more business in Bulgaria open up to the vast opportunities remote work arrangements offer. According to a Global Workplace Analytics study, a typical business saves about $11,000 per person, per year by leveraging remote work policies, and if those with compatible jobs work from home just half the time, there would be a national savings of $700 billion per year. May one day, we have such data about Bulgaria. I wish everyone finds the work arrangements that suits best one’s personality – be it from an office or remotely. 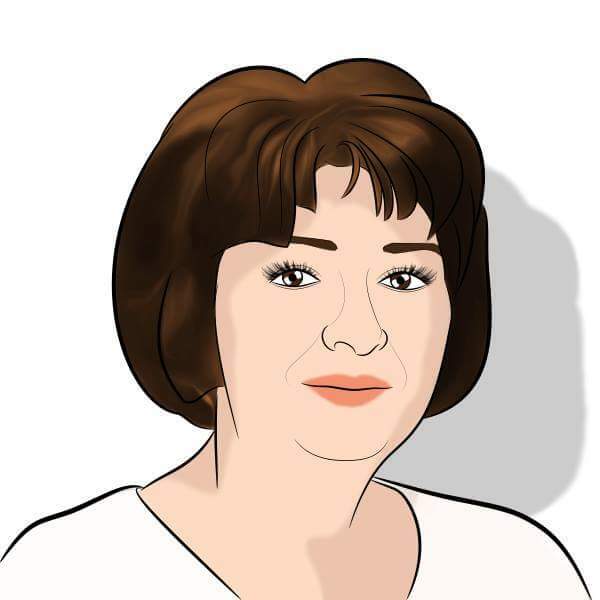 Rayna Tzvetkova is a marketing and digital communications professional. She has worked for USAID, ING, DDB, Groupama, and remotely for SDSD, Cargill, Advent Group, Croud. Since 2008 she has been keeping a personal blog on topics that inspire her – books, travel, people. She loves working and travelling and deeply believes that people are more productive when they are happier at work. Rayna recently started an HR innovation category on her blog. In her view the recruitment market needs disrupting, allowing for flexible work arrangements.